The Starbucks Gingerbread Frappuccino is a startlingly stunning iced beverage to bring a tingle to your taste-buds this Christmas. On arrival at our local Starbucks I thought we had crossed the Atlantic and arrived in New York by magic, but soon realised that the friendly, but unlikely, American accent was that of the Barista of Starbucks at Chiverton Cross, just outside the city of Truro in Cornwall. 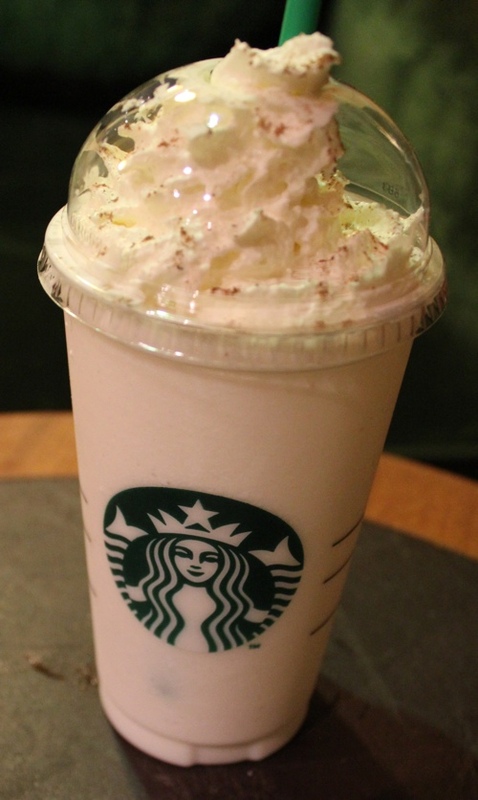 She served up our gingerbread drinks, which had a very seasonally white appearance, similar to the vanilla Frappuccino. It can either be served with or without whipped cream and a dusting of ground ginger, giving a pleasant taste of gingery whipped cream. The smell also strongly reflects the flavour. The texture is thick and creamy, even when the blended ice has melted. From the very first sip a unique and special taste is revealed. The creamy gingerbread flavour is most prominent, but an arena of fused spices including cinnamon, cloves and nutmeg, boldly present themselves shorty after. It's very festive and refreshing, possibly not the best drink to order from the Starbucks menu if you plan to drink it out in the icy cold. But it's profoundly enjoyable in store and indoors. Not overly sweet, so the spices and gingerbread flavours are left alone. But the richness may make a Grande or Venti size too much to handle. 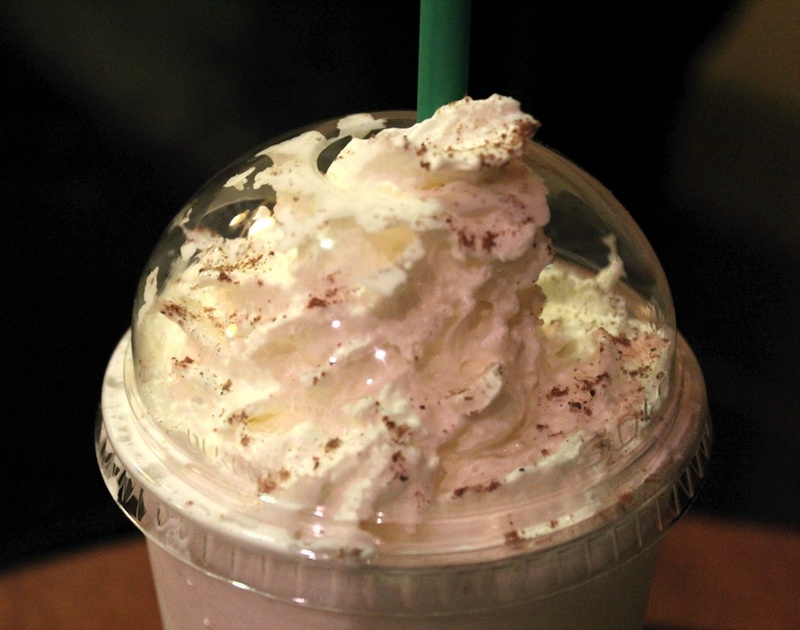 Overall the Starbucks Gingerbread Frappuccino is full of flavour, and a definite must try for fans of the Frappuccino series from Starbucks.